Laundry is a necessity of modern life and you don’t have to have a house full of people for it to pile up quickly. 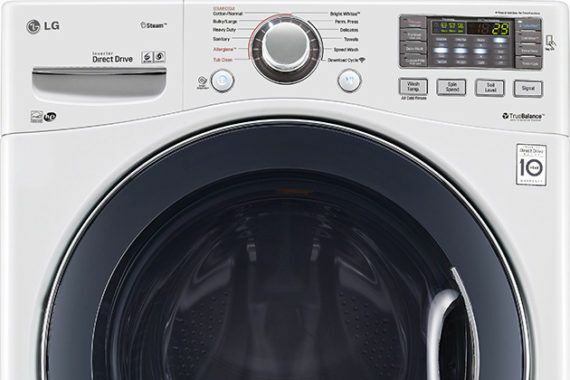 While it could be a wise choice for families with multiple children (especially young ones), you may want to consider upgrading to commercial laundry machines even if you have an average-size household. Many bedspreads and comforters are actually machine washable; most homes just don’t have a machine with the capacity to handle such a large load. If you have toddlers or preschoolers, you already know that accidents happen at night, and you could probably find yourself making frequent trips to the laundry mat to clean up the mess. But even if you don’t have young children in your home, it’s important to clean your comforters regularly. All bed sheets should be washed with even more frequency, and a commercial grade washer and dryer can get the job done in fewer loads. Do you have a healthy, active family? If you and your partner make routine trips to the gym, or your kids play a sport with regular practices and competitions, it’s a good idea to use good hygiene and wash those uniforms often. Workout clothes can add to the laundry pile exponentially in a short amount of time and can cause an odor problem when left to sit for too long. When it comes to cleaning your home, window coverings are often overlooked for long periods of time. To keep them fresh and to remove embedded dirt, dust and pet hair, it’s a good idea to wash them regularly. A commercial washer can handle the oversized load with room to spare, and can help you avoid the wrinkles that come from cramming the linens into too small of a space. Commercial laundry machines could save you time, money and effort in the long run, as well as multiple trips to the laundry mat!